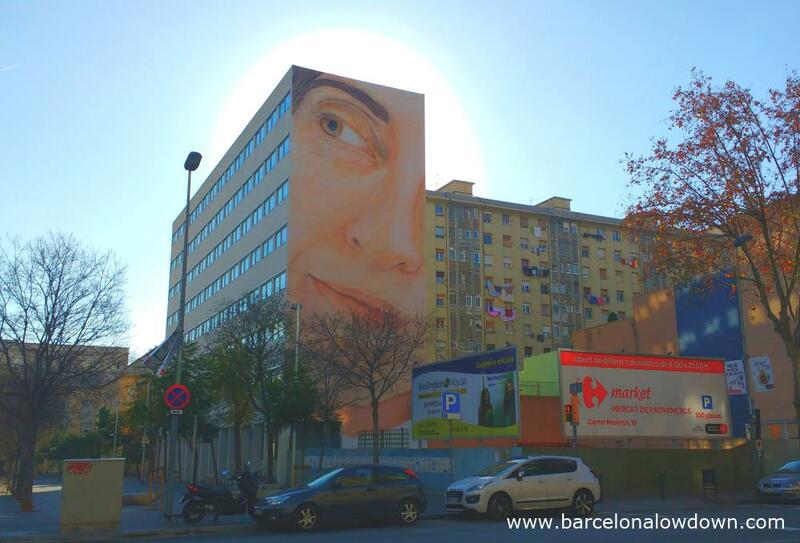 Panorama is a 28m high composite portrait which was painted on the facade of the Centre Civic de Sant Martí as part of the 2015 Open Walls Conference. Cuban born artist Jorge Rodríguez-Gerda combined elements of 10 local women to create a portrait that represents the neighbourhood as a whole. The idea behind the composite portrait is to highlight the role of the individual and the importance of women in the community. 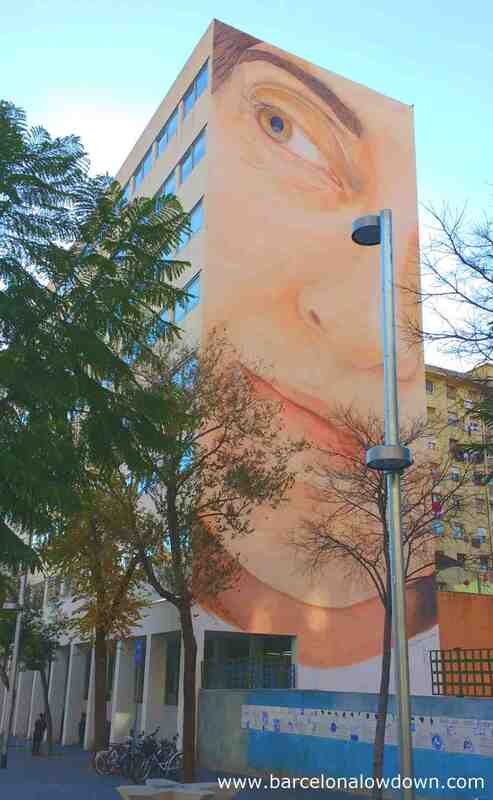 The painting is one of a series of giant portraits which Rodríguez-Gerada has completed in several Barcelona neighbourhoods as well as other cities across the globe. Unlike the other portraits in the series which were temporary installations drawn with charcoal, Panorama was painted and is intended to be a lasting feature of the neighbourhood. You can see photos documenting the creation of the mural and a short video here. Jorge Rodríguez-Gerada was born in Cuba in 1966. His family emigrated to the United States when he was a child and he grew up in New Jersey. He studied at New Jersey City University where he met the future members of the Artfux street art crew. During the 1990s he founded the Culture Jamming collective who modified advertising hoardings. Targeting the excessive level of advertising of damaging products such as tobacco and alcohol in underprivileged areas, the group strived to raise awareness and challenge the public’s perception of cultural icons. In 2002 he moved to Barcelona where he started creating the Identity series drawing large scale photo-realistic portraits of local people on the surfaces of old buildings. Most of the designs in the series are drawn with charcoal and are intended to fade away over a period of time. The Panorama mural is located a few metres from the Bac de Roda metro station (purple line L2) in the Sant Martí district of Barcelona. 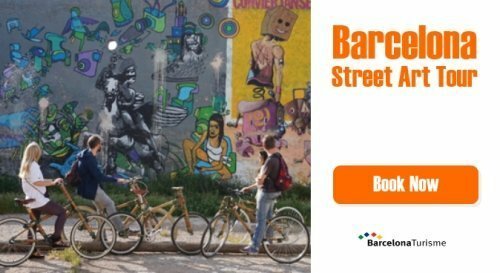 You could also use the portrait as an alternative starting point for our self-guided street art walking tour of Poblenou.